Engadget have just posted a hands-on video of iOS 5 Airplay Mirroring in action. 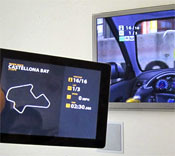 The video features an iPad and Apple TV both running iOS 5 beta, and a demonstration of both direct-mirroring in Angry Birds, as well as real-time 16:9 HD wireless streaming in Real Racing 2 HD. 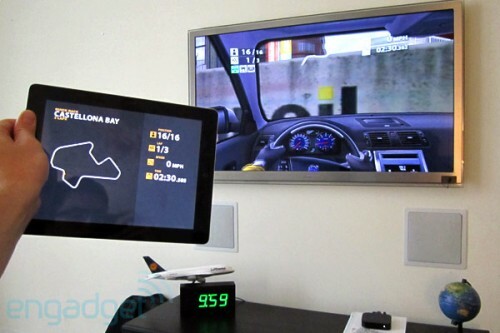 While you’ll be able to directly mirror any app to your TV with iOS 5, games like Real Racing 2 HD actually work as a separate screen, with additional display items and game cues. In this case, the iPad displays track position, speed and more while doubling up as a controller a la Wii U.